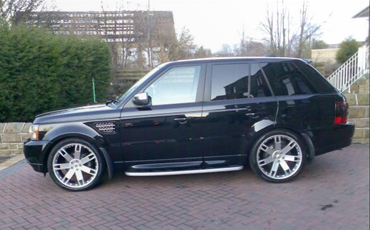 Splash Car Valeting offer a professional service - second to none. 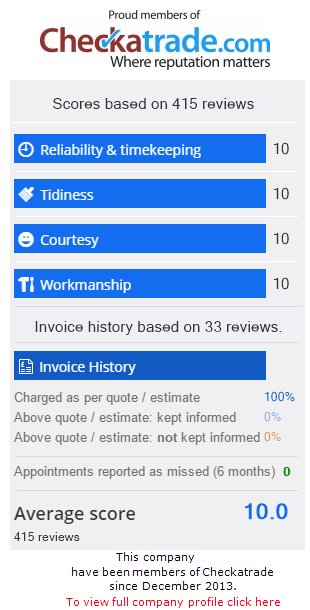 We have gained our excellent reputation by offering a punctual, quality service at a competitive price. At present we service the South London, Surrey, Middlesex, North Sussex and North Kent areas, offering anything from a basic wash & leather, to full showroom preparation. We also offer a complete on site operation for car dealerships and office complexes. We provide a full mobile service ensuring you don't have to leave your home or place of work just to have your car cleaned. We carry everything with us to wash, polish, vacuum and shampoo your car.Our vans are fully equipped with onboard hot and cold water, electrical generator, high power vacuum cleaner and pressure washer, as well as a full stock of AUTOGLYM cleaning products. In fact everything we would ever need to leave your car gleaming. We're more than happy to check your engine oil level, tyre pressures and screen wash level...it's all part of the service. So give us the opportunity to earn your trust by offering you a first-class service...we are sure you will be pleasantly surprised ! We clean cars, vans, motorbikes, trucks, lorries, vehicle upholstery, HGV, LGV, caravans, motorhomes,boats, yachts, aeroplanes, agricultural machinery...as well as household services such as carpet cleaning. The ultimate service...your vehicle will be restored to its former glory! Your car will be hand washed and rinsed with a high pressure washer, any unwanted stickers on the windows will be removed then polished inside and out, a full hand wax will be applied to your car. All exterior plastics will be cleaned with traffic film remover which takes away all the dirt and grime - then treated with a plastic conditioner to protect and leave a shine. 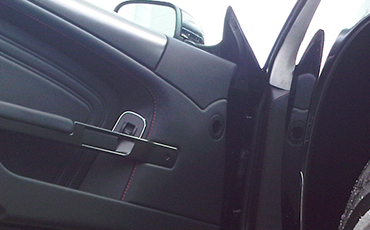 Door shuts are cleaned and waxed, any tar that is on the sills will be removed. 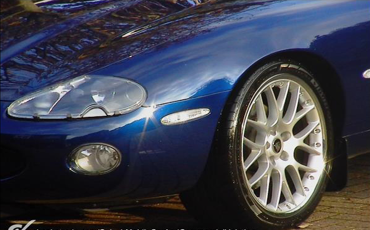 Brake dust on wheels will be removed using an alloy wheel cleaner – leaving the wheels gleaming. Tyres are cleaned and left with a shine which really gives your car that showroom look. The interior, including seats, carpet, door trims, and boot will be fully shampooed using a dirt extraction machine. All the plastics are cleaned and treated with plastic conditioner which will protect from fading. Leather seats are thoroughly cleaned and then a leather feed is applied where necessary. So maybe you don't need a full valet ...so why not opt for a mini valet for the exterior. Your car will be hand washed and rinsed with a high pressure washer, the windows will be polished inside and out, a full hand wax will be applied to your car. 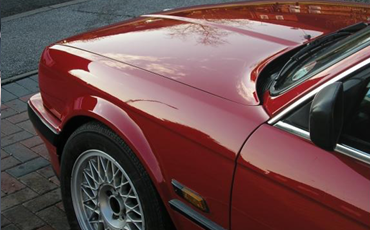 All exterior plastics will be cleaned with traffic film remover which takes away all the dirt and grime - then treated with a plastic conditioner to protect and leave a shine. Door shuts are cleaned and waxed, any tar that is on the sills will be removed. Brake dust on wheels will be removed using an alloy wheel cleaner – leaving the wheels gleaming. Tyres are cleaned and left with a shine which really gives your car that showroom look. The interior, including seats, carpet, door trims, dash and the boot will be thoroughly vacuumed. All the plastics & leather will be thoroughly dusted and bins & ashtrays are cleaned. 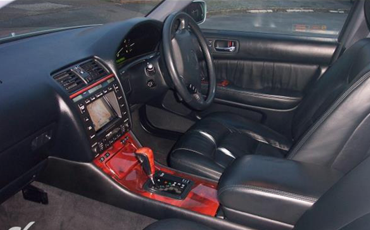 So maybe you don't need a full valet ...so why not go for a part valet for the interior. Your car will be hand washed and rinsed with a high pressure washer, door shuts are cleaned & the windows will be polished inside and out. Brake dust on wheels will be removed using an alloy wheel cleaner – leaving the wheels gleaming. Tyres are cleaned and left with a shine which really gives your car that showroom look. Interior OK but exterior looking a bit tired - then this is the one for you Your car will be hand washed and rinsed with a high pressure washer, any unwanted stickers on the windows will be removed then polished inside and out, a full hand wax will be applied to your car. So you spend your Sundays cleaning the exterior… but forget about the interior! The interior, including seats, carpet, door trims, and boot will be fully shampooed using a dirt extraction machine. All the plastics are cleaned and treated with plastic conditioner which will protect from fading. Leather seats are thoroughly cleaned and then a leather feed is applied where necessary. 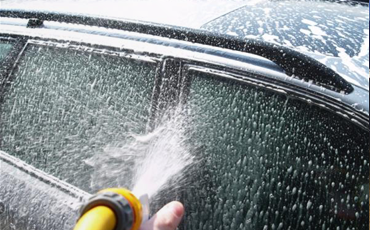 A quick and inexpensive way to treat your vehicle to a spring clean Your car will be hand washed and rinsed with a high pressure washer, door shuts are cleaned & the windows will be polished inside and out. All of our valets include light pet hair removal, however, please be aware that if your vehicle is heavily covered in dog hair – a possible additional charge of between £10-£25 may be applicable if you wish us to remove 99% of all the hairs. This is due to the time consuming nature of dog hair removal from seats / carpets etc. For odour decontamination we use a thermal fogging machine which produces a very fine mist which covers fabrics, plastics, under dash areas and leathers of the car – neutralising odour and bacteria smells. A window of approximately 2 hours will be required afterwards for the fog complete this process…. And is charged at £50.00 per application. This process is particularly effective at eliminating tobacco smells, dog odours, mould / damp smells, vomit smells and much more. 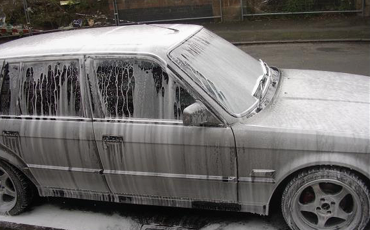 If your car interior is extremely dirty…then please tell us at the time of booking…as an extra charge may be required to cover the additional time needed to return it to its former glory ! Removal of vinyl signage – lettering/logos etc. from £150.00 depending on the amount of characters, type and size of vinyl / vehicle. Paint spots on exterior bodywork and/or residue from building work mishaps P.O.A. This treatment will remove mould build- up and other blemishes from fabric soft tops. Treatments from £90.00 (depending on roof size.) This will include the roof being sprayed for future protection against mould build up and water ingress damage. Should you require three or more vehicles valeted at the same address – and at the same time -then our Multi Vehicle offer can save you between 10%-15%….so please mention this at the time of booking. Is the lease period on your vehicle coming to an end…and are you concerned that the Lease company may impose fines because the vehicle may not meet the stringent standards that their Inspectors demand? We are well aware that the ‘fines’ imposed on the end user can often run into hundreds of pounds when you surrender the vehicle to the owner company. We are experienced in the requirements laid down by BVRLA (the leasing sector’ trade body) with regard to paint condition, interior staining and odours, decal removal etc. 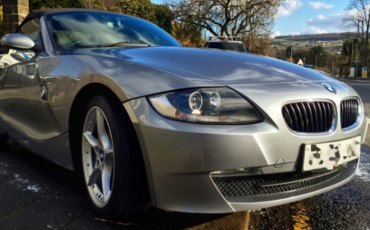 Our valeting service reduces the visible signs of ‘wear and tear’ – as we prepare your vehicle to be handed back to the Lease company in an excellent condition, lowering or even eliminating any ‘fines which may have been imposed by them….this service really makes financial sense – and remember that we come to you, or your place of work to undertake the work. All regular or bulk commercial work can be offered at a discount – so please contact us for an estimate. Regular treatment with high quality products will provide your vehicle with a tough defensive barrier against the elements….and for vehicles carrying your livery – it will promote your Company in the best possible light. our customers are sure to get full satisfaction. Autoglym's professional ranges are used in over 40 countries throughout the world by motor manufacturers, distributors, body shops, valeting companies and heavy transport operators. They are the result of 30 years' continuous research and development to create products that most exactly meet the needs of the professional. We can therefore be confident that your vehicle will be protected against the elements until our next visit. Second time Leigh has cleaned and polished my car. Friendly and professional. Would recommend. Leigh did a fantastic job. He offered a professional, friendly and efficient service. I can not recommend him highly enough. When Leigh arrived I never thought he would be able to restore the car back to its original state after a whole tin of paint exploded. However Leigh spent 3 hours of his Friday night to help repair the mess I was in. Leigh arrived promptly and worked very efficiently to make my car look like new, I couldn't ask for more than that! Valet made to my combo van which was in a filthy condition. Leigh was extremely professional, courteous and I would highly recommend him as he has very high standards across the board. Very pleased with cleaning carried out. Leigh arrived on time, friendly, professional job carried out. Would not hesitate to recommend. Excellent work, polite and friendly, good attention to detail, recommended. Leigh was very pleasant and courteous. Arrived on time. Completely removed stain from car seat. Delighted customer! On time, very thorough very pleasant and very good job. Car was spotless, cleaning- showroom condition. Enough said leigh had a very friendly and pleasant personality. You can phone us or email us on the below details. If we miss your call, please do leave a message and we will get back to you as quickly as we can. Terms & Conditions | © SpLASH 2015. WEBSITE DESIGN BY WEBSOCIAL.